The beautiful Mothers Heart sterling silver necklace features a sparkling cubic zirconia heart shaped pendant set in sterling silver. 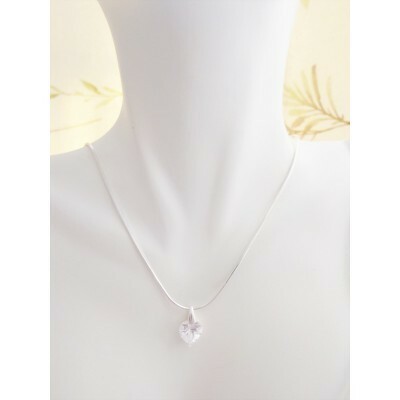 The quality of the pendant is exceptional for the price. The heart shape on the front has a crystal white CZ stone and to the rear of the heart pendant, the sterling silver case is also heart shaped so that the pendant could be worn both ways so that it wouldn't matter if the pendant flips around, it still looks beautiful! The delightful heart pendant sits upon a 41cm fine sterling silver snake chain that compliments the pretty pendant creating a beautiful necklace. 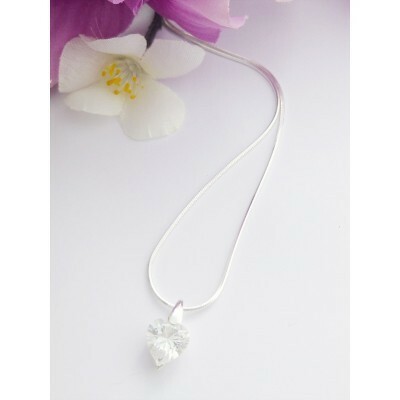 This necklace is perfect for women of all ages, whether it be a gift for an18th birthday or a special present for a mum on mother's day. This necklace can be worn with any outfit making it a perfect forever necklace. 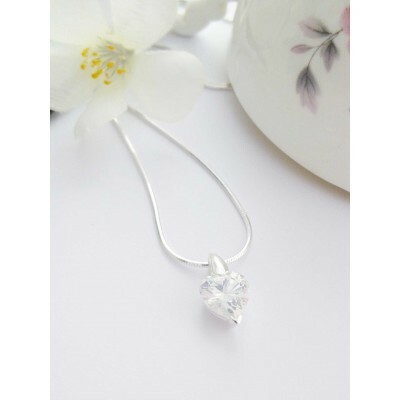 The Mothers heart pendant in white CZ stone with a sterling silver case and is free flowing. Both pendant and chain are hallmarked in the UK in 925 sterling silver. 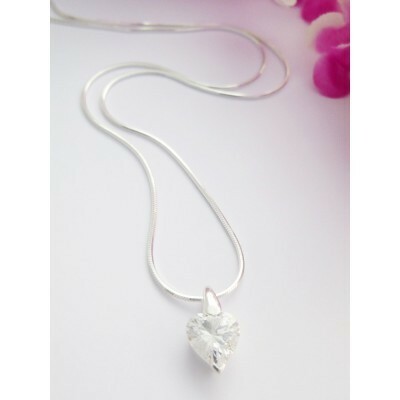 The heart shaped pendant is approximately 13mm tall and 9mm wide and sits on a 41cm snake chain.